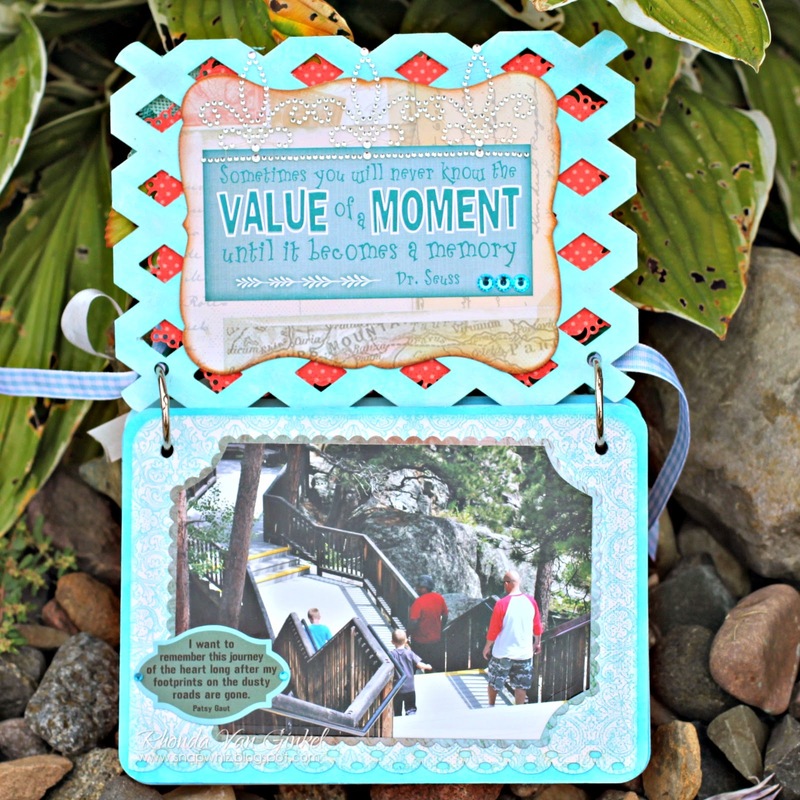 Blog Quick Quotes: Mini Album Inspiration with Rhonda + Giveaway! 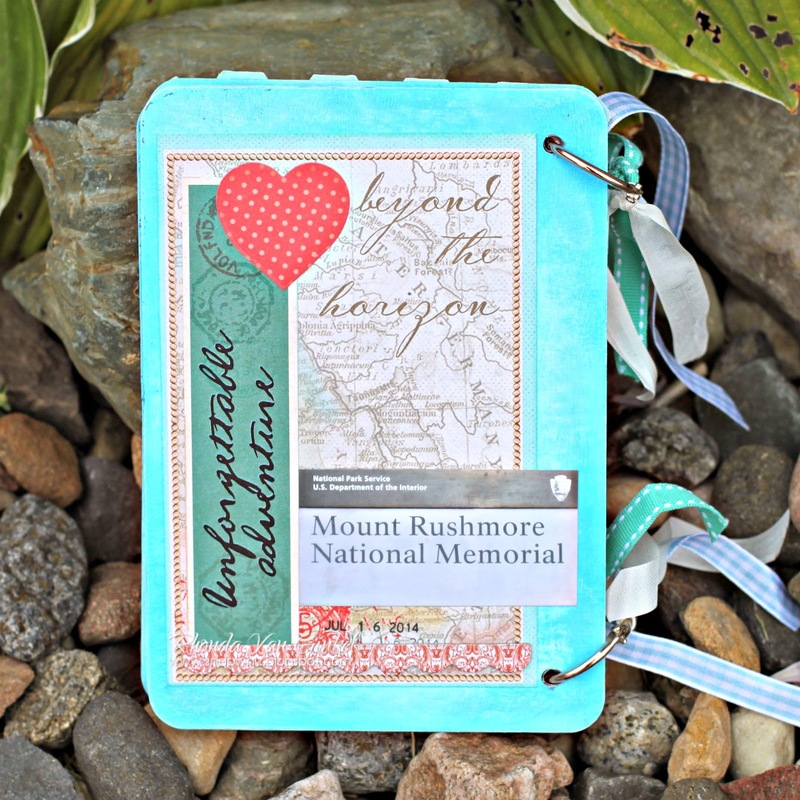 Mini Album Inspiration with Rhonda + Giveaway! Tuesday greetings to you! 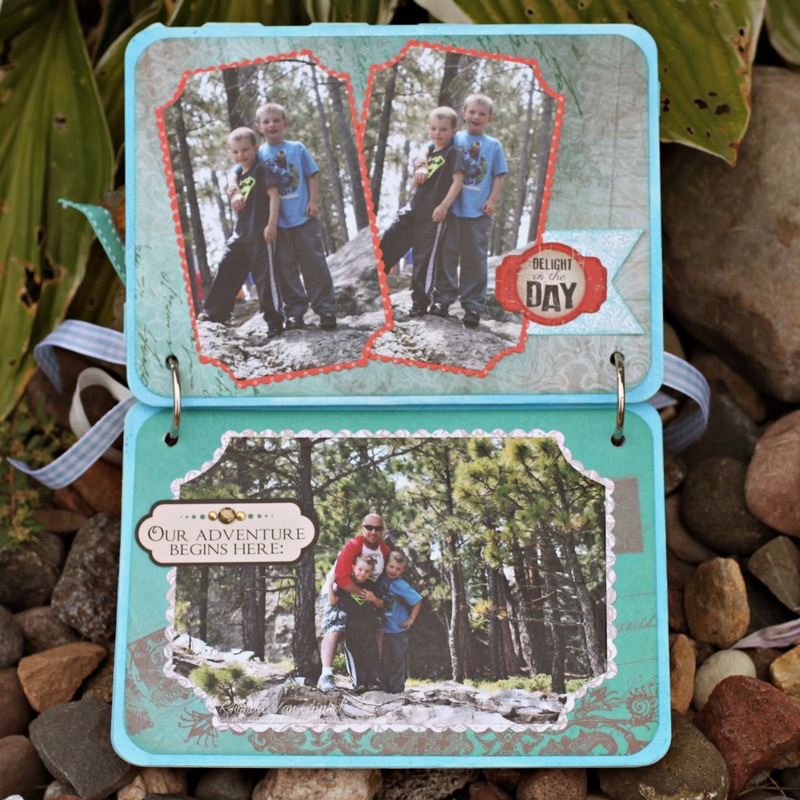 It's Rhonda here today to host the blog for you and share my Want2Scrap Lattice Mini Album project with you. As you know, all month long we have partnered with our friends at Want2Scrap. 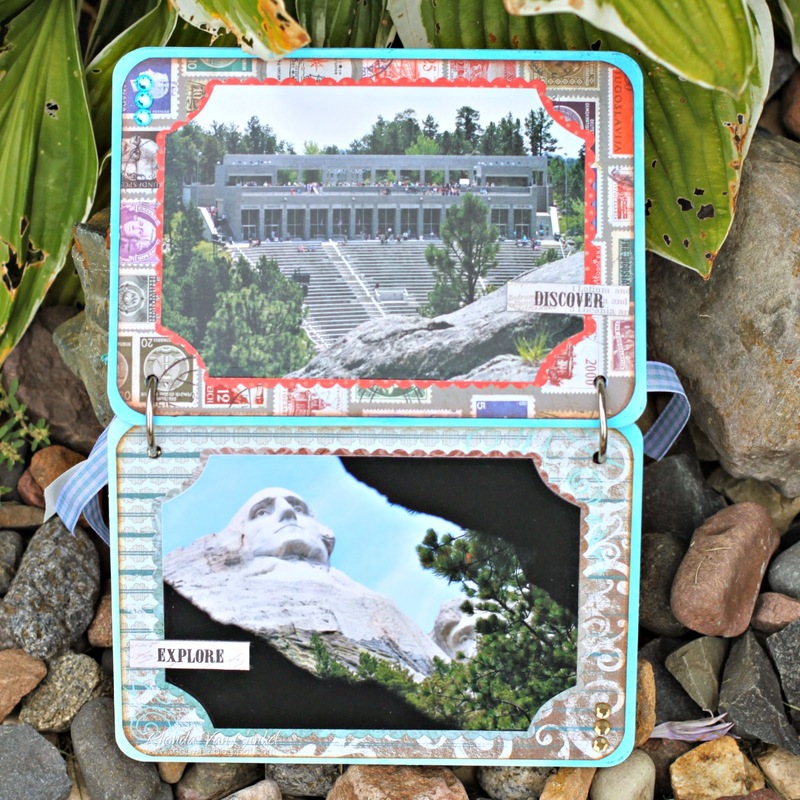 I decided to use my album to showcase our photos from our Mount Rushmore trip this summer. To start, I coated each page with white gesso, then used our PowderPuff Chalk Inks to color them. The Mardi Gras Border Bling was a fun accent to my quote here. My first pages, I used some scraps from June Club Q here. I maintained the same photo mats and theme through the album to create harmony. This design is very clean and simple and lets the photos tell the story. I cropped a photo of the main entrance monument here and used it along with a date stamp. I hope you've enjoyed the mini album inspiration and that you've enjoyed our Want2Scrap cross promotion this month. 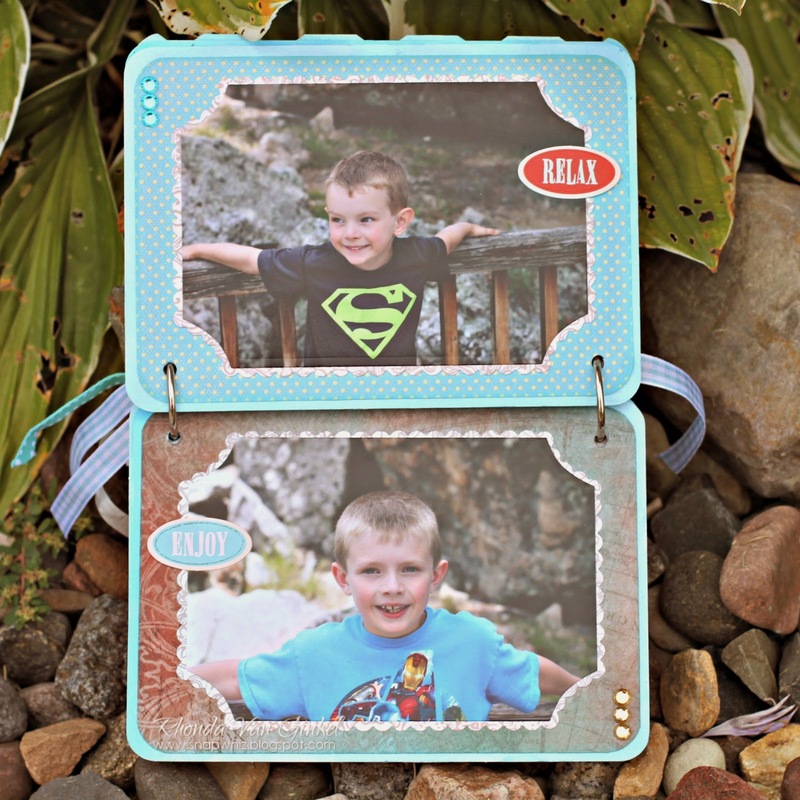 Please leave a comment with your favorite Quick Quotes products and Want2Scrap products to be entered into a giveaway for a scrappy goody bag! Be sure to visit other mini album posts and leave comments too, we will choose random comments for other prizes. Butterfly - 1 Inch Light Blue and the Mardi Gras Bling Border by Nina Brackett! 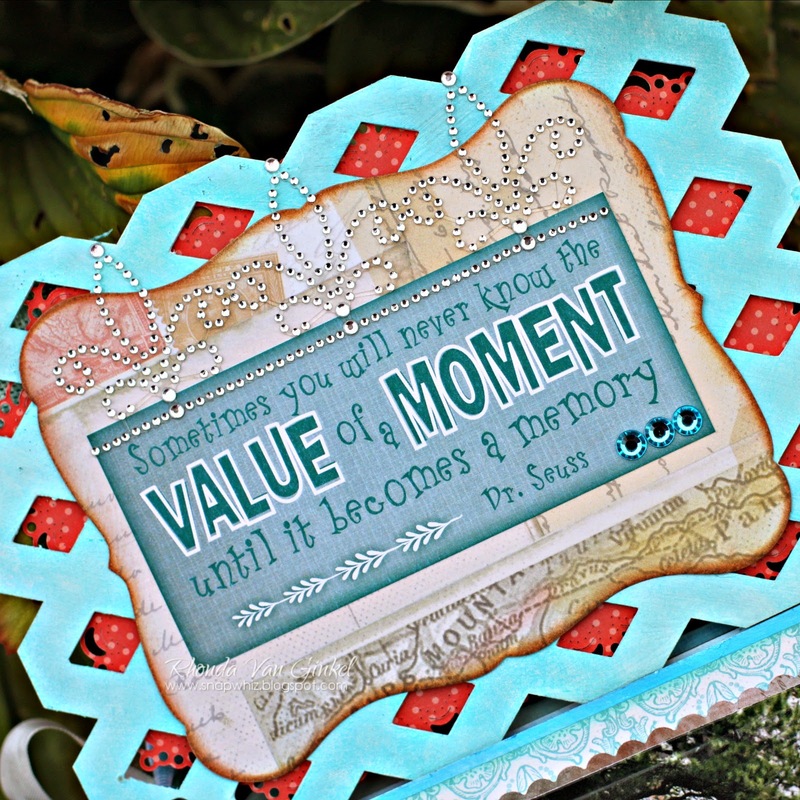 I love the Quick Quote papers and cards and Want2scraps bling and stencils. Love your album Rhonda. Great photos and the papers really compliment them. My favorite QQ products are the papers and the powder puffs. I'm not too familiar with Want2scrap, but I'm heading over now to take a look. Great album! 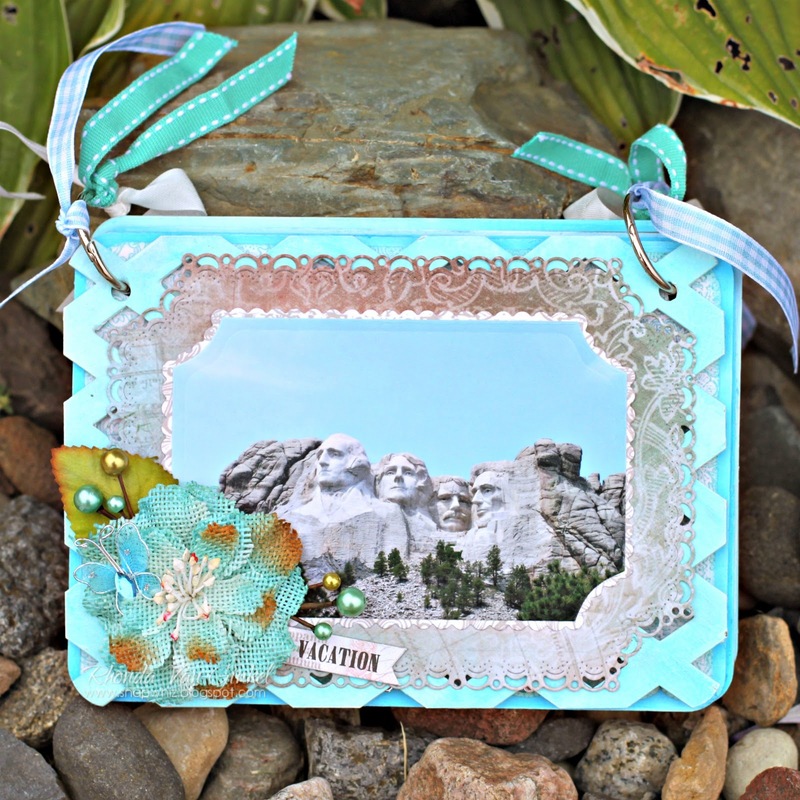 Mount Rushmore is on my bucket list!